For a whole generation of drivers, the name ‘MG’ conjures images of two-seat British roadsters. They might not have worked every day and leaked like a colander when it rained, but when they worked they were a load of fun. MG might finally be returning to those days, with rumors that the now Chinese-owned company is working on another two-seat roadster. Auto Express describes the car as a spiritual successor to the MG TF, a mid-engined sports car sold in the 1990s and 2000s that for a time out-sold the Mazda Miata in the U.K. Speaking to the British magazine, an insider confirmed that MG bosses have discussed a return to the roadster market, and intend to produce the vehicle once the brand has re-established itself under Chinese ownership. MG has not revealed a timeframe for the model just yet, as it’s keen to develop its existing range of vehicles and put several other volume models on the market first. One of these is likely to be a compact SUV based on the CS concept unveiled in Shanghai last year. 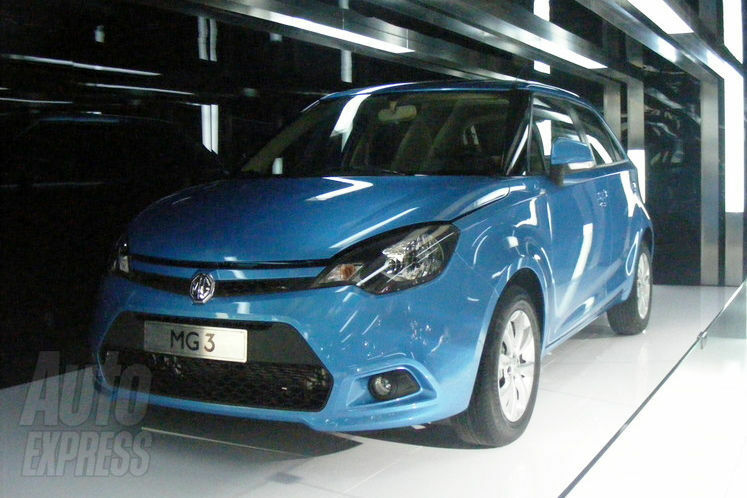 The other, badged MG5, will compete against vehicles like the Ford Focus. Whether either of those models will find their way to the U.S. is unconfirmed. The company is also hard at work developing new powerplants for the MG range, led by a team at SAIC’s U.K. technical center. M G will re-enter the Australian market officially next month (August). The re-born Brit brand, now wholly owned by Chinese giant, SAIC, will initially offer a single model for sale and expects to appoint dealers in all eastern state capital in the coming weeks. 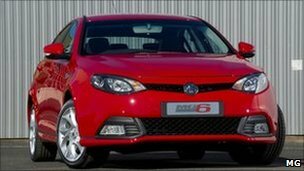 The first car to go on sale Down Under is the MG 6. Available in liftback (GT) and sedan (Magnette) body styles, the MG 6 is powered by a turbocharged 1.8-litre petrol engine matched exclusively to a five-speed manual gearbox. Three equipment grades are available. The entry-level S is priced at $22,999 (plus on-road costs), with $27,999 (plus on-road costs) buying the top of the range TSE. 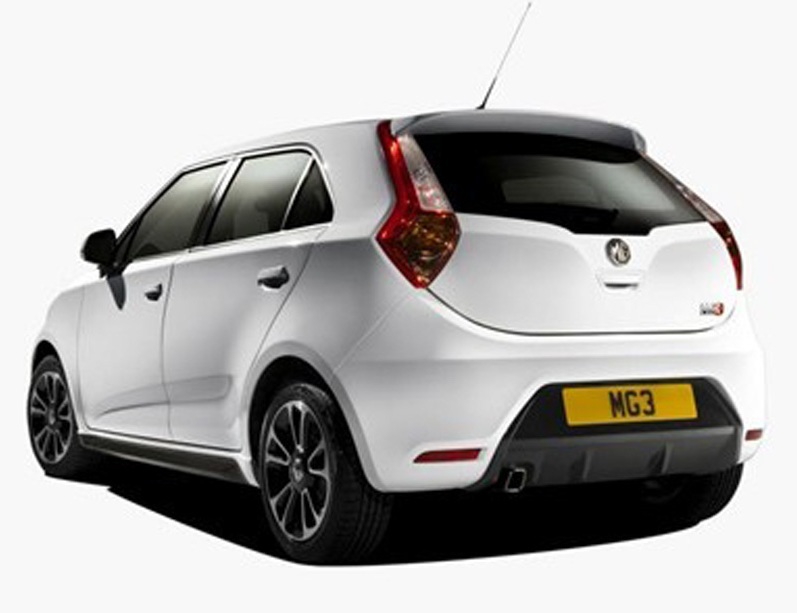 MG’s newest model, the MG 3 Light segment hatch, and an as yet unnamed compact SUV model will join the MG 6 in local showrooms in 2014. An auto (dual clutch) equipped MG 6 is also on early 2014 timeline. 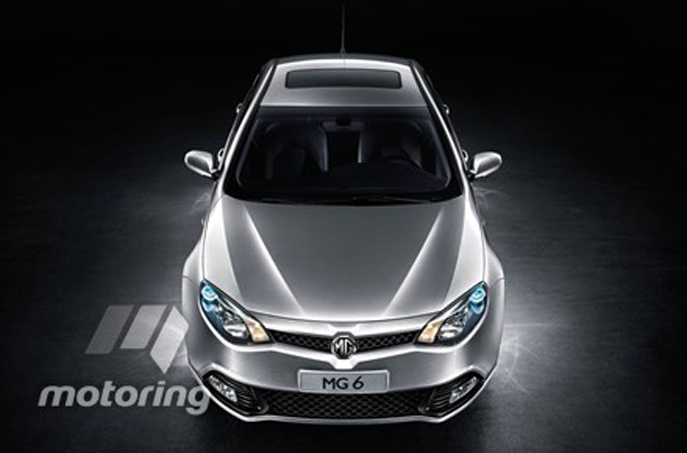 Meantime, MG’s all-new MG 5 medium car is still on SAIC’s drawing board and is not expected to debut until 2015 at the earliest. 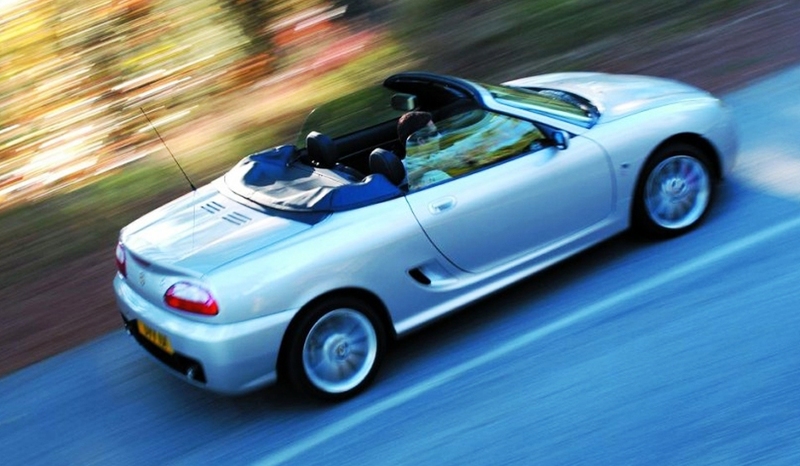 The new MG models are unrelated to the ill-fated re-emergence of the brand in the early 2000s. In deference to the brand’s history, however, SAIC’s MG design and engineering resources are housed at the former home of MG, Longbridge in the British Midlands. The Australian MG importer is ground-up, all-new operation. MG Motor Australia, has purchased one of the former Rick Damelian sites on Parramatta Road in the Sydney suburb of Petersham. The new company is founded and funded by Chinese automotive interests but is a private importer distributor not connected to SAIC. MG Motor Australia is headed by automotive enthusiast, Andrew Shaw. According to Shaw, the operation has already invested in excess of $12M in its set up. It expects to commence retail operations at its Petersham within weeks. Also expected to be confirmed in coming weeks is MG’s first tranche of dealers. “We’ve very close now to rubber-stamping [confirming] the first [dealers],” Shaw told motoring.com.au. “We’re primarily looking for: New South Wales and Sydney-based; Victoria, Melbourne-based; and Queensland, Brisbane-based [dealers]…. In the next 12 months, I would see potentially no more than 20 dealers,” he said. “We don’t want to have too many [dealers]. We want each to have enough of a patch and enough of the [retail new car] sales that we want to see happen — which are probably only going to be something in the region of 400-500 in the next six months,” he said. Shaw believes the new MGs will attract a wide range of buyers. He says existing MG fans and aficionados will make up only a fraction of buyers. Initially, the brand will seek to appeal to buyers looking to step outside the square, he says. “So they’re [SAIC] looking at MG as: we, we want to produce a quality product. So that’s where we need to get as many people behind the wheel, as fast as we can — so that they realise what true value there is in the car that they’re buying. “It’s not a cheap Chinese car, but it’s a very affordable car that happens to be made by a Chinese owner — one that was designed and engineered by a team of 300-plus designers and engineers out at Longbridge; the original home of MG in the UK,” Shaw opined. MG Motor’s UK website states the Longbridge operation is “responsible for developing the initial concepts for all new MG vehicles. UK market MG 6s undergo “final assembly” at the Longbridge facility. Australian market cars are fully assembled at MG/SAIC’s production facility in Lingang, China. Shaw says MG’s UK development team is already in regular touch with the fledgling Aussie operation. “I interact with them on a weekly basis… So [they are interested in] nuances about the car… You want something special for Australia? What do we need? Is there anything that would be required here? [Also] Marketing promotions and ideas that they’ve had that have worked,” Shaw stated. SAIC has built around 300,000 MGs in the last two years. The brand currently exports to over 20 markets including Latin America and the Middle East. In the UK the company sells a number of MG 6 variants including one that pays homage to the company’s entry into the British Touring car Championship. This is the first picture of the car MG bosses hope will take on Land Rover in its own backyard. The MG Icon was revealed at China’s biggest motoring event, the Beijing Motor Show. Chinese-owned MG Motor UK threw out a direct challenge to heavyweight neighbours Land Rover by unveiling the Freelander-style vehicle. The concept car was unveiled just weeks after the Mail revealed an SUV vehicle was in the pipeline at Longbridge. The MG Icon has been created by the company’s Birmingham-based global design team, headed by British director Anthony Williams-Kenny, and has been inspired by some of MG’s most famous cars, including the MGA and MGB GT. 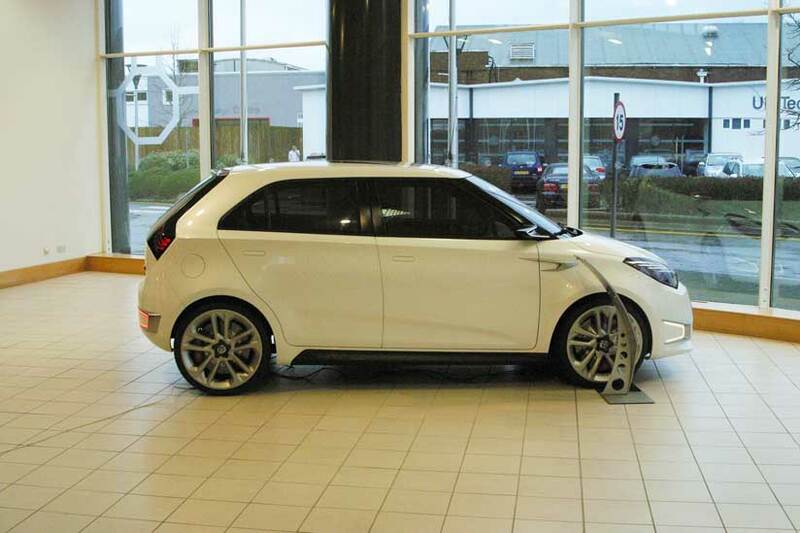 Although only a concept at this stage, a production version of the compact SUV is likely to form part of the next generation of vehicles produced at Longbridge. Mr Williams-Kenny said: “The MG Icon represents our vision of a modern MG and we feel the small SUV canvas demonstrates MG’s capacity for progressive design with respect for its long heritage. The SUV plans emerged as MG Motor UK cranks up production levels following the launch last spring of the MG6, the first all-new MG for 16 years. The first new MG for 16 years will roll off the production line in Longbridge later. The MG6 is the first large scale production at the Birmingham plant since the demise of Rover in 2005 with the loss of 6,000 jobs. A five-seater model will be available to buy from May and is expected to sell for between £15,495 and £18,995. MG is owned by the Shanghai Automotive Industry Corporation, which is the largest car maker in China. The MG6 has been designed in the UK but the parts are made in China ready for assembly in Longbridge. Local MP Richard Burden said: “Today is a real milestone for Longbridge and for the automotive industry in the West Midlands. “Longbridge has been through dark days. Nothing will bring back the days when thousands were employed on Longbridge production lines. “But the greatest tribute we can pay to the heritage that made the name Longbridge synonymous with motor manufacturing throughout the 20th century is to build a future in the 21st century. MG Rover went into administration in April 2005 with the loss of 6,000 jobs. Three months later the company’s assets, including the equipment at the Longbridge factory, were sold to Chinese car maker Nanjing.